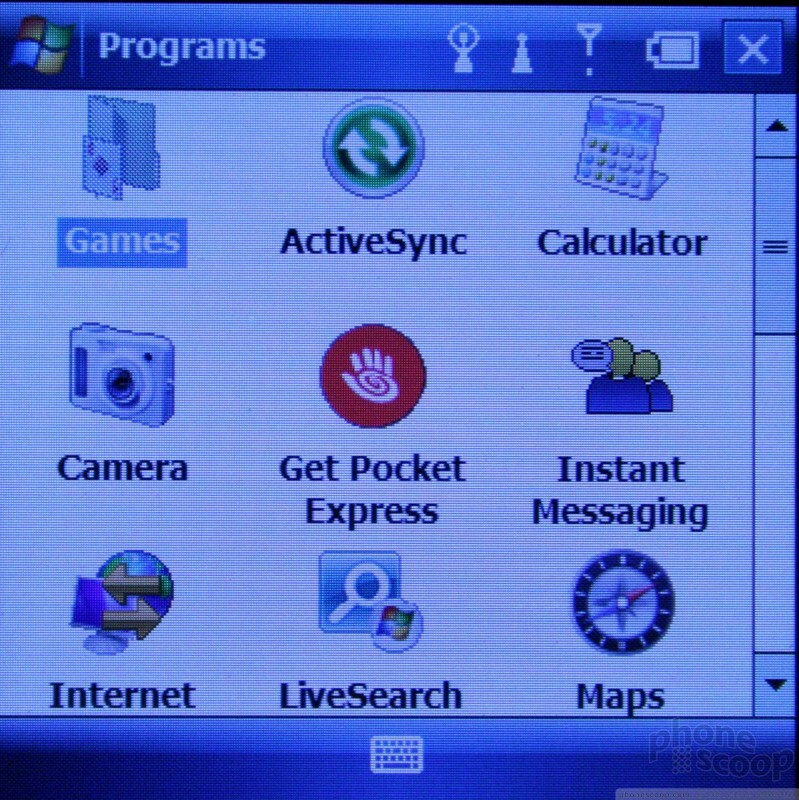 Windows Mobile 6.1 by and large operates identically to previous versions, such as the Windows Mobile 5.0 on the 700w. 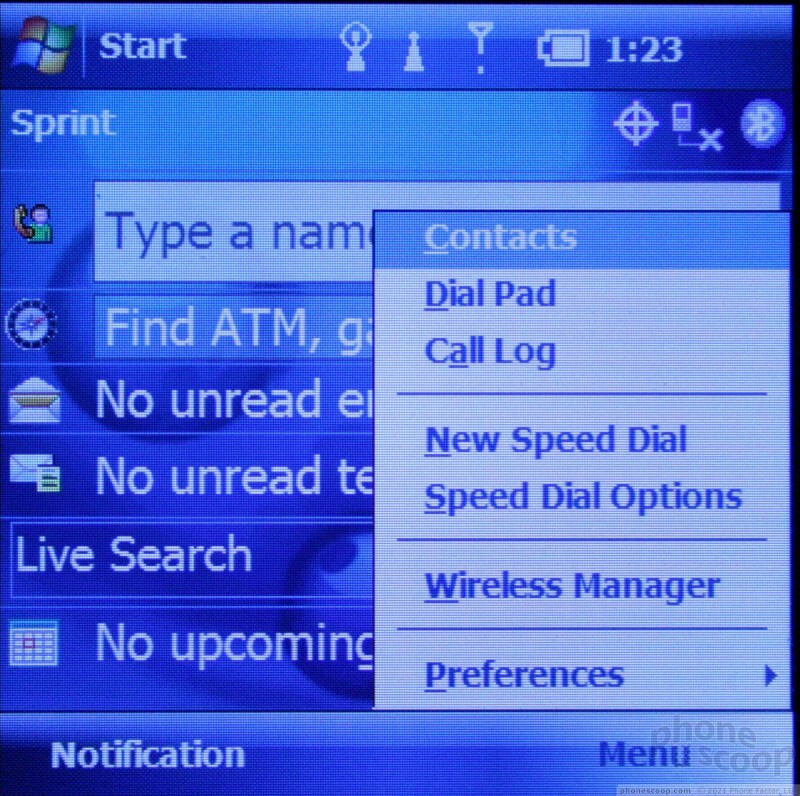 For instance, one of Windows Mobile's continued limitations is constraining the Start menu to just seven items. 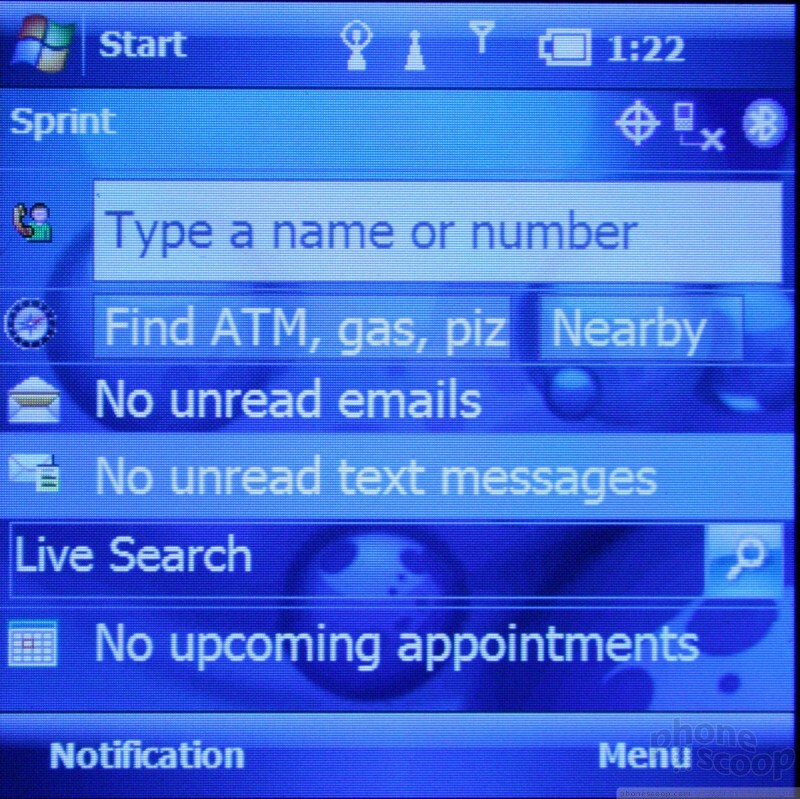 To give you more access to functions and features from the Today home screen menu, Windows Mobile 6.1 adds left-right scrolling through functions (such as left-right scrolling through your varying email accounts from a single "email" line) without even pulling up the Start menu. One problem. 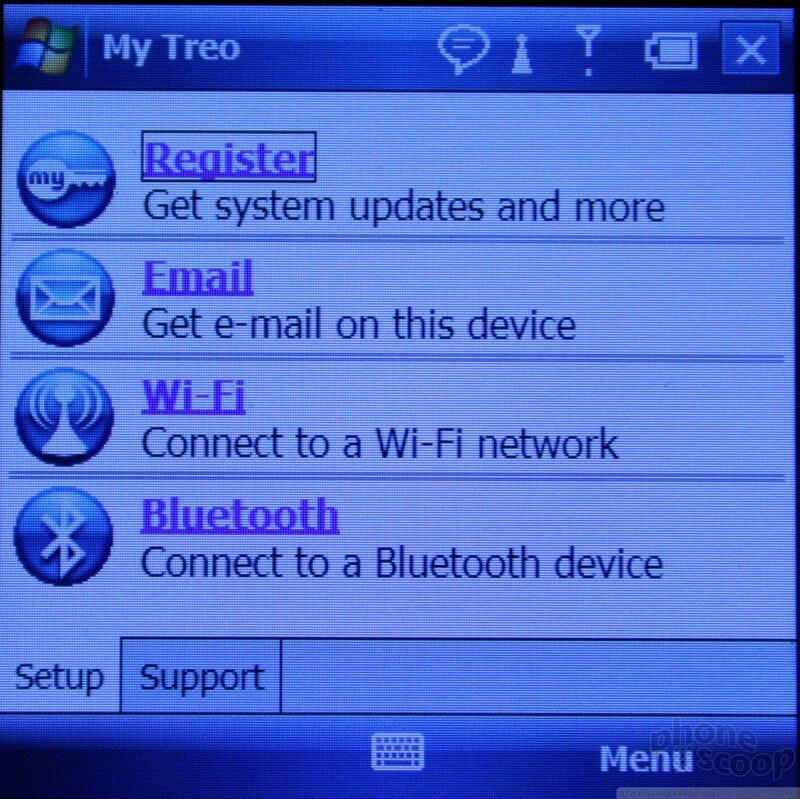 The Treo 800w doesn't include this new Windows Mobile 6.1 home page. I assumed I'd be able to download or choose it from the variety of options inside Windows Mobile's many options. 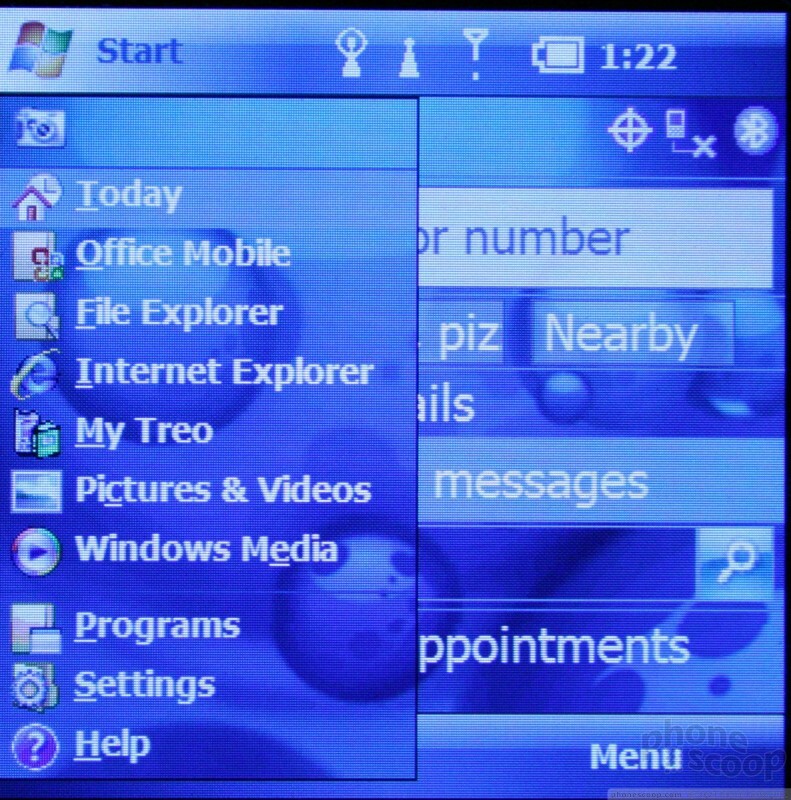 We were told Microsoft would require the new home screen to be available as an option on all 6.1 devices out of the box. But if the new home page configuration is there to choose or download on the 800w, I couldn't find it. However, accessing the 800w's varied business functions and applications such as the calendar, messaging, email, contacts and Live Search are easy to get from the home screen. Getting to your contacts, however, is a problem. The only way to get to the list, say if you want to find an address to give someone else, other than to remember the Calendar/Option key combo, is to scroll to the dial form on the home Today page and click on Menu. Either way, it's unnecessarily awkward, but this is more a Windows Mobile issue than an 800w issue. Accessing the 800w's multimedia features wasn't as easy. 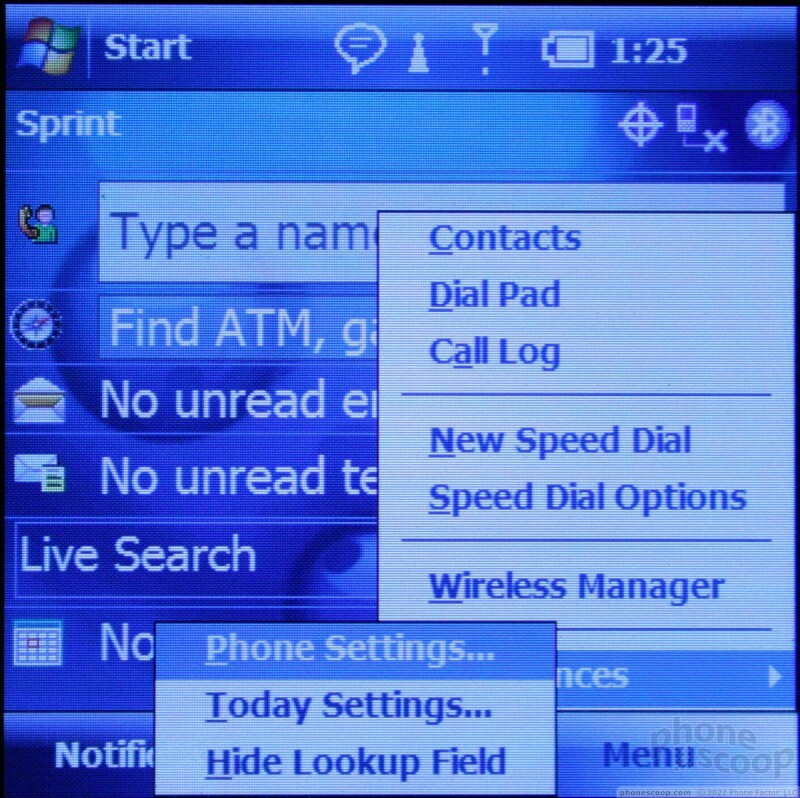 All multimedia options – the camera, Windows Media Player, Sprint TV – are accessible only via multi-clicking/tapping through Start menu > Programs rather than via a direct access key. You could reprogram the left side action key to activate any of these functions, or add one of them to the Start menu as long as you eliminate an existing menu choice. In lieu of this customization, the default arrangement makes it difficult to quickly access the entertainment options on the 800w.